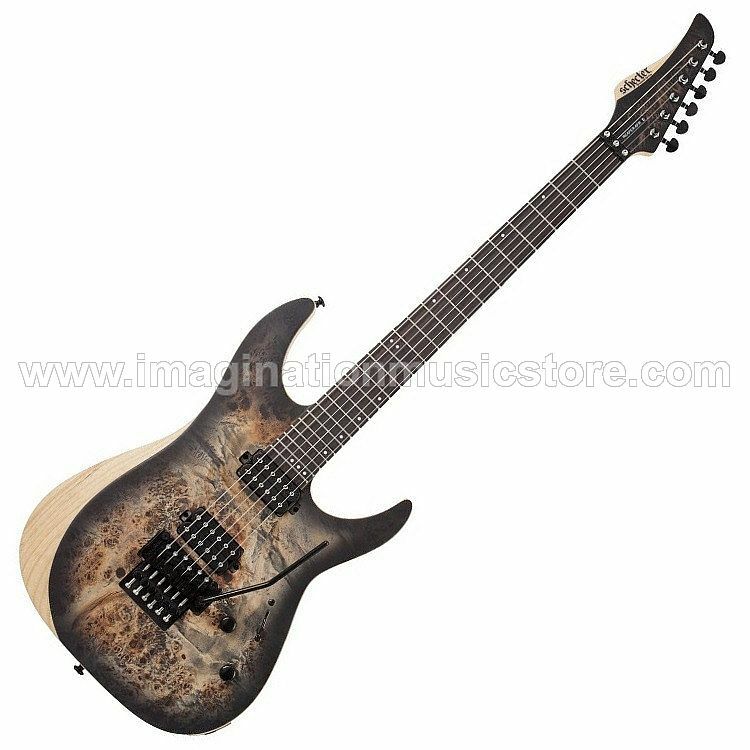 The Schecter Reaper-6 FR is simmering with natural tone and resonance, thanks to its poplar-burl-crowned swamp ash body. The swamp ash imparts a musical blend of warmth, brightness, and midrange "pop." This already exquisite tone is then balanced out with a poplar burl veneer, which also lends to the Reaper-6 FR a unique, eye-catching appearance. At Sweetwater, we appreciate an axe that produces great-sounding tone — even before you plug it in! As great as the Reaper-6 FR sounds acoustically, it was built to be plugged in — and you won't be disappointed! Its high-output Diamond Decimator pickups slice through the mix like hot adamantium but give you enough versatility to conquer any sonic situation you might encounter. It includes plenty of tonal control, by way of a master volume, master tone, and 3-way pickup selector. You also get a push-pull pot for coil-split single-coil tones.